As cloud services become the norm, millennials take over the workforce, and expectations around workplace solutions become more demanding, MSPs are moving away from the “if it isn’t broken, don’t fix it” mentality. No piece of technology fits that mantra more than file servers. The proliferation of file sync and share services, now dubbed content collaboration platforms, has been a slow burn. However, now they are the default and preference for the majority of end users. Consider a brand-new startup. While a decade ago they would quickly look to an MSP to setup an Exchange Server for email and a NAS for file storage, now an organization can signup for a cloud office platform which is ready to go in seconds and is automatically improved, patched, and secured without any intervention. The vast majority of organizations don’t have the luxury to start over with the best-of-breed cloud solutions, so many are opting to do away with their legacy storage systems in part or altogether. While decommissioning file servers in favor of modern content collaboration platforms can seem like a daunting prospect at first, more and more businesses are realizing that the alternative–sticking with on-premises servers–spells limited productivity and needless expenses. 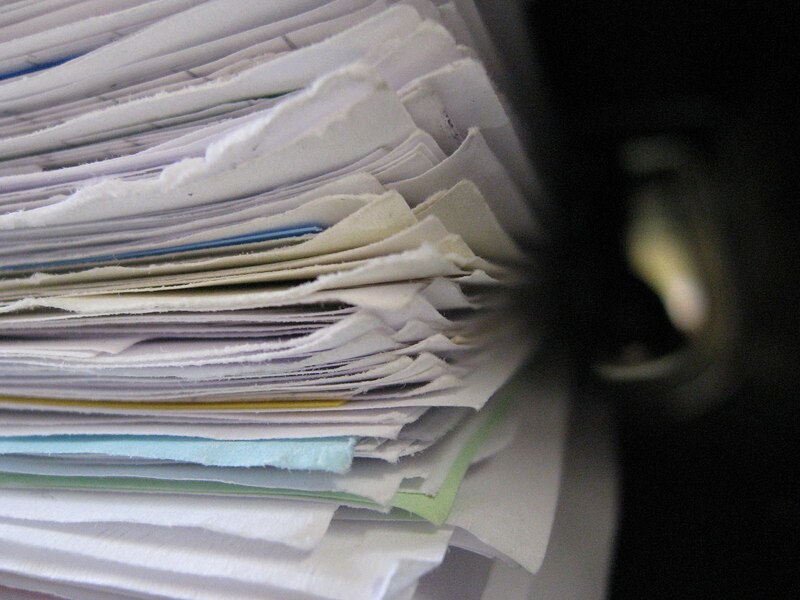 You’ve Already Migrated Your Customer’s Email, So Why are Files Still Sitting On-Premises? Almost all MSPs are familiar with the migration process, the most common scenario being migrating email into the cloud. But with email comfortably in the cloud, the backbone of user-generated content that teams and departments rely on is still sitting in feature-lacking file servers. This means that the success of an organization can depend on users’ ability to access those files and folders at a moment’s notice, which itself depends on servers remaining functional. Compared to the offerings of cloud systems, that’s a tough sell. By helping organizations migrate their large file repositories into the cloud alongside their email, MSPs are ensuring that businesses have a consistent, reliable, and streamlined storage solution that makes it easy for all users to pull on whatever folders or content they require to keep their team, department, and company running. For MSPs, this next step should be something of a no-brainer, as it allows you to continue to provide the best solutions to your customer, and—in this case—one that could drastically optimize the way their company operates. As discussed by Marc Lighter of Paxis Technologies in his column on MSP Insights, the bulk of email migrations from on-premises to the cloud are complete. Migrating unstructured content—user files and department folders—is the logical next step, one that benefits businesses and MSPs alike. Both email and file storage services are key offerings of MSPs. Interestingly, email’s move to the cloud before unstructured content speaks to how important email is to an organization. However, the reasons behind moving email are almost identical to that of moving file servers: reduced cost and end-user benefits. Well, to put it bluntly: file servers are just a massive black hole: sucking time, money, and valuable manpower into their abyss. Anyone purchasing a file server, NAS, or SAN quickly finds out the costs go beyond just hard drives and the server racks. Aside from the time and energy file servers require for managing the storage of user content, another key consideration is the total cost of purchasing, deploying and maintaining them. Some of the expenses are clearly measurable. But the hidden, lost-opportunity costs of diverting your internal resources from other tasks can be even greater. Incidents both large and small require constant support, racking up a litany of costly operational expenses. The time spent by your team making sure that servers are up to snuff means that they’ll have less time to deploy new technologies, or assist with new projects that could generate revenue, or attract new clients. These costs continue to skyrocket in the event of legitimate disaster, such as a cyber-attack. As cyber-crime becomes an increasingly large and multi-layered concern for organizations, file servers have proven to be one of the more vulnerable storage solutions. For example, the 2017 Petya attack exploited a SMB vulnerability present in many unkempt file servers. Having spoken with a number of organizations who opted to abandon their servers for cloud storage, I’ve quickly come to realize that these maintenance debacles are not the worst-case scenario. Sooner or later, they simply becomes the daily reality of relying on legacy storage. Storage and maintenance become the definition of “one step forward, three steps back;” and deciding to remain in place for convenience sake is not only unproductive, but ultimately risky. Compounding the problems of file servers is the fact that, while rich in pitfalls, they’re deeply lacking in features that would help users collaborate. Not only that, providing file servers to organizations goes against what their users actually want. Ask any young person entering the workforce if they’d prefer to work with Dropbox or a file server, I think you already know their answer. While cloud platforms offer a host of ways to share content and dozens of ways to access and organize that content, servers are deeply limiting. For users who want to work remotely, they require the use of clunky and unreliable VPNs. For users who want to integrate their content with different applications and tools, servers make this extremely difficult. Cloud platforms provide rich integrations with tools like Salesforce, DocuSign, Slack, and hundreds more, file servers force users to toggle back and forth between the tools they want to use to maintain and engage their content, ultimately making users download folders and files that will just take up space on their drives. 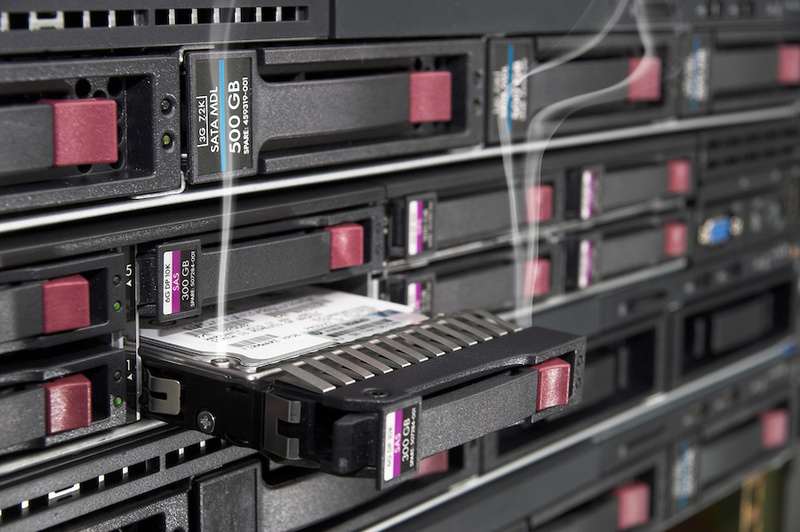 When it comes to file servers and the features they provide, there’s little to recommend them. Not only do maintenance issues threaten to disconnect users from their necessary files, but they limit how those users can actually make use of their content when it is available. In short: it’s a lose-lose. How Does Cloud Collaboration Fix This? In stark comparison to the limited functionality and buffet of flaws served up by legacy storage, cloud collaboration platforms offer organizations a holistic and adaptable way to approach storage. When businesses migrate to cloud collaboration platforms, all of the chores of security and deployment are managed by the platform provider. Maintenance and patches are made simple, and implementation is streamlined. Along with hardware and software expertise that guarantees ease of deployment and maintenance, platform providers take care of the myriad small logistical concerns that can pile up if left to an overworked MSP, ensuring servers have the space, power, cooling power, physical security, and ability to automatically scale. This expertise extends to troubleshooting, as cloud providers offer multiple powerful support resources that can answer important questions about maximizing security protocols, sharing, mobile management and more. If there’s one thing I’ve learned from talking to organizations that have decided to make the switch, it’s that this malleability and richness of features is not only a boon to productivity in the most empirical sense, but also a major lift to users who might otherwise feel trapped by a storage solution that appears completely indifferent to their routines and needs. By working to provide migration and decommissioning solutions, MSPs ultimately help strengthen the organizations they partner with, and can work with these businesses to help them discover all of the various strengths that come with cloud storage. In short, cloud collaboration invigorates organizations where legacy storage slows them down, and, as you’re about to see, MSPs are in an ideal position to get organizations there swiftly. 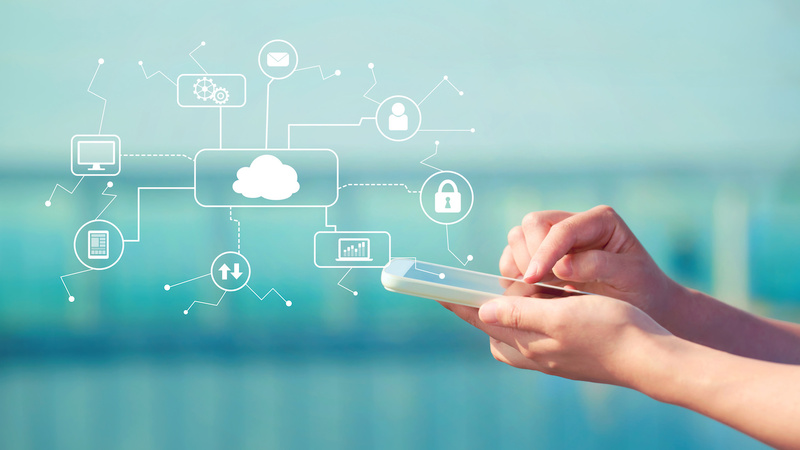 For MSPs, migrating unstructured content to the cloud provides an opportunity to expand their offerings and work closely with organizations across to create a better storage and collaboration environment. With both email and content in the cloud, MSPs have the opportunity to build new partnerships with businesses and establish themselves as experts in an increasingly diverse and growing field of solutions. Because enterprise-level cloud migration is a multi-stage, often repeating, process, businesses who are new to the prospect will want partners they can trust, who seem informed, and who will dedicate themselves to the success of the project. Even organizations who are only tentatively considering making the switch benefit from the advice and knowledge of MSPs who take the time to educate themselves about migration and cloud content collaboration platforms.